In most modern electrical distribution systems, the predominant loads are resistive and inductive. Resistive loads are incandescent lighting and resistance heating. Reactive power to create and maintain electro-magnetic fields. The vector sum of the active power and reactive power make up the total (or apparent) power used. This is the power generated by the utility for the user to perform a given amount of work. Note that a low power factor requires a larger amount of KVA to accomplish a fixed amount of work (KW), whereas a high power factor would require a lesser amount of KVA to accomplish the same amount of work. Utilities provide the KVA to the user, and by means of continuous metering, they bill the user each month, and provide actual values of the components of power shown in Figure 1. If the values shown on the bill indicate a low power factor, many utilities will add a penalty to the bill. In like manner, a high power factor may result in a reduction in the over-all cost of total power consumed. 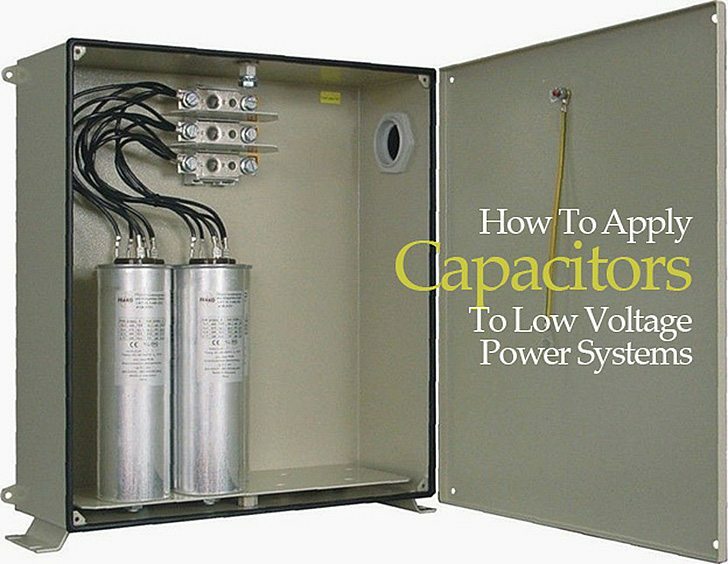 Title: How To Apply Capacitors To Low Voltage Power Systems – MYRONZUCKER Inc.
How can I have a copy How to Apply Capacitors To Low Voltage Power system. Thanks for good & useful information. Good luck! For me, junior engineer still learning, this EEP is very helpful. Many Thanks! Thank you for giving your information it is really good and useful information for all engineers . I am very happy that I have connected with your link hope you to prepare beneficial and essential information as much as possible. How to apply 11KV HTAPFC Panels HRC FUSE, vacuum contactor.